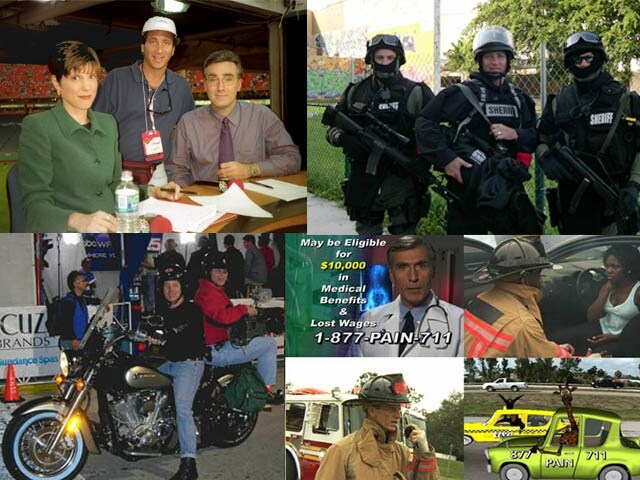 Located in South Florida, Flying Lobster Productions covers local, state wide, national, and international projects. We are backed by over 27 years of industry experience, and we can take any project from concept to distribution. There is no other credential than having an Oscar winning project under your belt. So there shouldn’t be any more that needs to be said for our ability to produce your project, but wait there’s more! For what we do, there are no holds barred to apply the techniques we use in many different areas of production. Flying Lobster Productions has a proven track record, for the ability to keep films and television shows under budget, without any compromise. With our experience in working with Fortune 100 and 500 companies, top advertising agencies, and PR firms, we can give marketing input to you from other perspectives for added value in your production. Good camera work is the most important aspect of production, and we specialize in a variety of applications for getting what the client needs, and getting it right. We work in both HD and SD formats, in all aspects of filming including aerials and underwater, jimmy jib crane, perspective and steady cam. We meet your needs no matter how difficult the situation. 2 and 3D animation is another specialty we do, to add to your project. We cover budgets both large and small. You tell us where you want to go, and we will take you there. It’s a process. Every project is different, and we do not use cookie cutter or template style production. We take on the challenge of each project individually to get the results that are right for you. In order to stay within your budget, and get what you want, it is very important to cover all the pre production planning, and we will walk you through the process for the creative integrity of the project. If you want to see our quality, just watch your television. In changing the channels there's a good chance you will see some of our work referenced to the above graphic. If what you do isn't good enough for TV it just isn't good enough. We strive to perfection in making you look better than good enough, for the work we put out on the air waves and cyber space. We have produced visual communications in all mediums, from Film & Television, to multi-media and the internet. In working with our clients, we have recommended the most effective ways to get their message across to their target audience. Presently in pre-production is a documentary by Producer Ron Lowther, about the 756th Tank Battalion, and their journey from North Africa to Germany. The main focus of the film is about the men who crewed the M4 Sherman Tanks. From inside a sweat box to an ice box, these men endured grueling, if not horrific, experiences throughout World War II in a tank. With Lowther's experience he is expecting this project to be another award winning film on his resume`. He wants audiences to smell, taste and feel what it was like to be at the controls of a Sherman Tank.